Reduce the risk of falling with an injury below the knee on an adjustable knee walker. 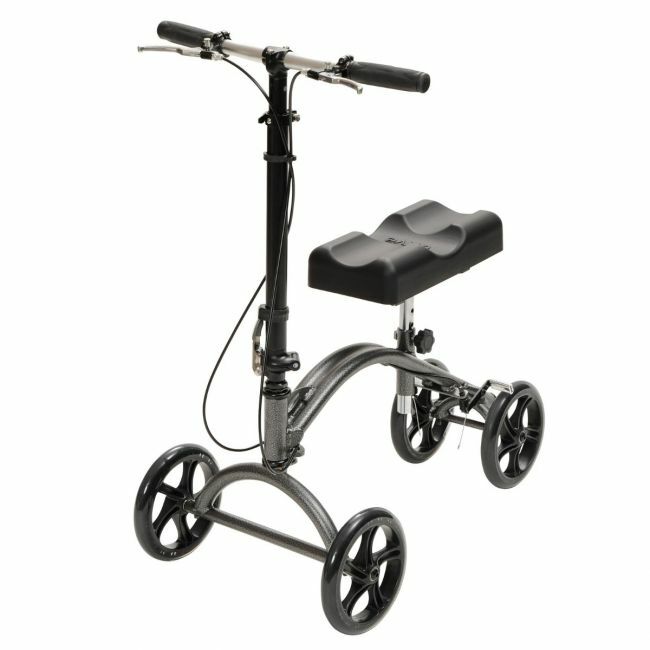 This knee walker with brakes and adjustable handle is a product designed to be a pain free alternative to crutches. It is ideal to aid users recovering from a foot injury. The knee scooter is also suitable for some amputees. It is far easier to operate than crutches, requires less effort and reduces risk of falling. Although still a relatively new product the knee walker is becoming the go to product for health professionals such as physios and occupational therapists. It is now being recommended for people who are non weight bearing as in most cases it is easier and safer than using crutches.